Read about the success of OIEC 2019, shepherding the sheep, mentorship, and more. 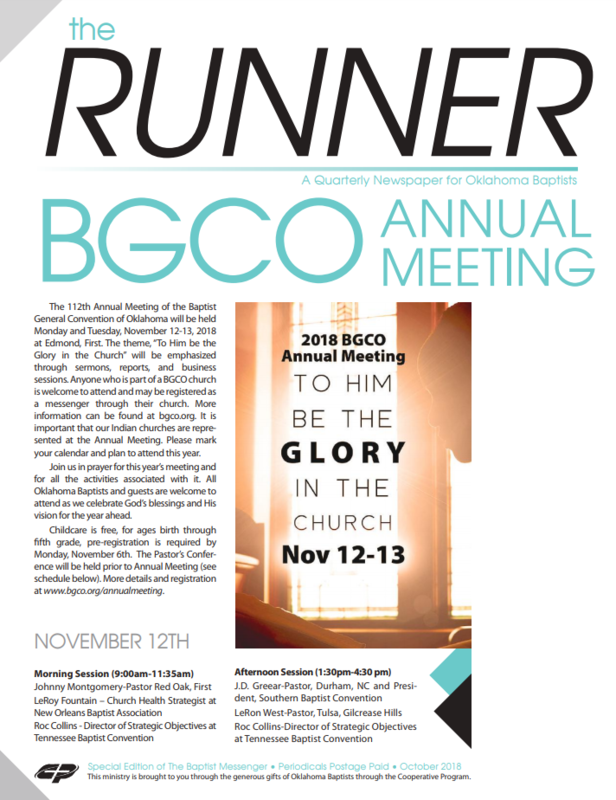 Read about the 2018 BGCO Annual Meeting, bridging generational gaps, mentoring young men, and more. 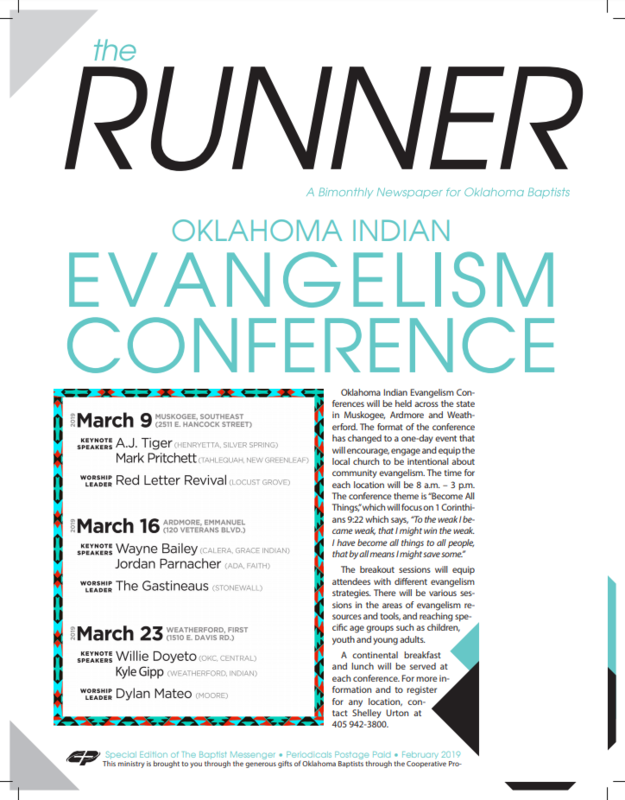 Read about the 2019 Oklahoma Indian Evangelism Conference, contextual evangelism methods, simultaneous revivals, and more. 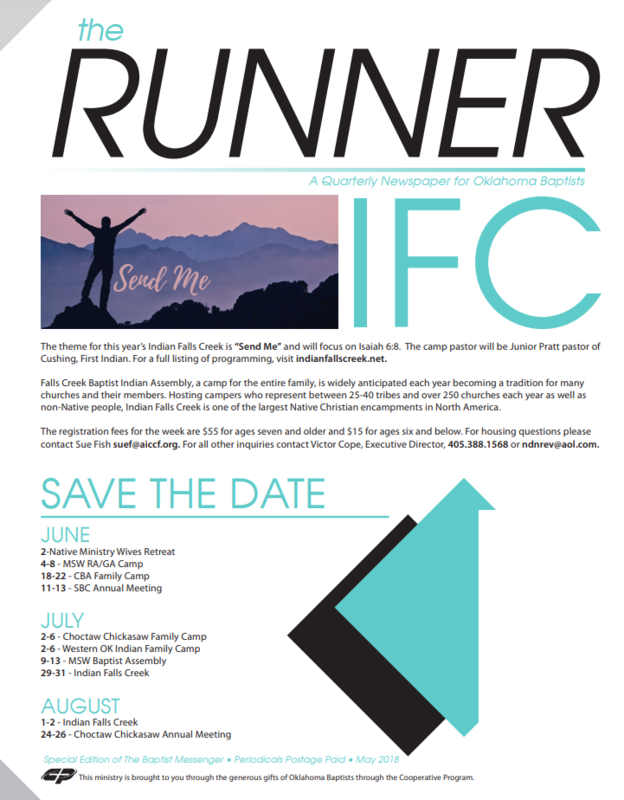 Read about 2018 Indian Falls Creek, chaplaincy, church planting, and more. 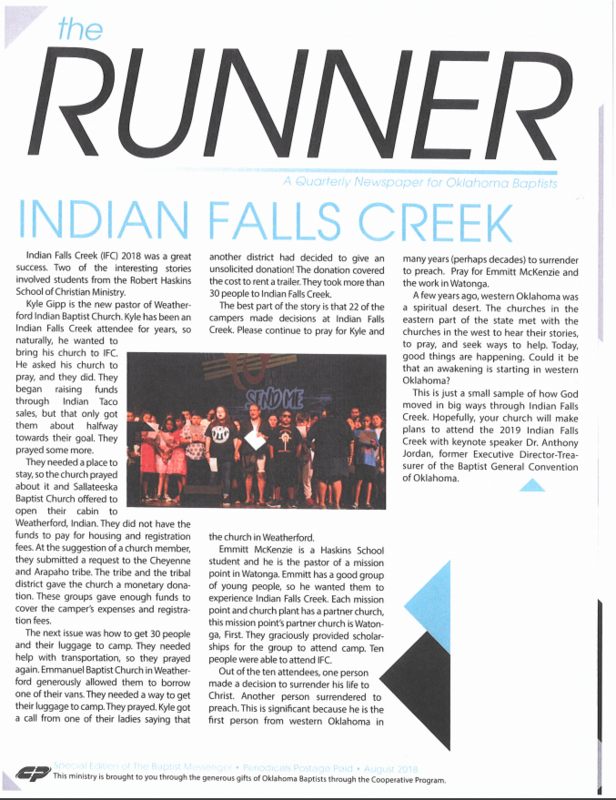 Read about Indian summer camps, the 2018 SBC Annual Meeting, the 2018 Native American Women’s Retreat, and more.